In December 2015 over 300 cases of car theft, traffic robberies and breaking and entering of cars was recorded through unofficially in Lagos state. 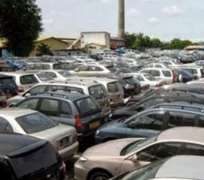 A research carried out by Carmudi Nigeria on car theft and traffic robberies in Lagos state showed an escalation of traffic robberies and breaking and entering of cars in the last quarter of 2015 with December having the highest figure. The research placed the figure at about 20 cases per week including traffic robberies and breaking and entering of parked cars. It also showed a reduction in cases of carjacking/hacking. Car hacking is a situation where the thief gains access to the car via remote control or reprogrammed key. This is a huge number when compared to other states in Nigeria forcing the law enforcement agencies to double surveillance and patrol of traffic prone areas such as the Eko Bridge, Oshodi Apapa express way, etc which has led to the apprehension of some of these criminals. Carmudi, Nigeria’s number 1 car site and Concept Nova a fast growing information technology and software development company have partnered to provide a premium anti-glass break solution called C-Protect for car buyers and owners in Nigeria. C-protect is an invisible film which can be applied to car windows, windscreens and glass vents protecting the glass from breaking in the event of accidental break, vandalism or robbery. According to a car dealer in united Berger market, car buyers have been looking for a solution that would protect their cars from theft or vandalism. Up until now car owners had to rely on car tracking devices or car security systems which did not guaranty the safety of their car from vandals and also the law endowment agencies who may not be able to get to the crime scene in time to stop the damage. With C-protect car owners are granted protection of their cars, valuables and life. Speaking on the research and partnership, Managing Director Amy Muoneke said ‘Carmudi Nigeria is not just focused on providing a fraud free platform for car buyers and sellers but we also make it a point of duty to partner with organization that provide services and products that would benefit car buyers. Security has always been an important issue and we are proud offer Nigerians who buy cars from the Carmudi Nigeria website C-protect at a discounted price.